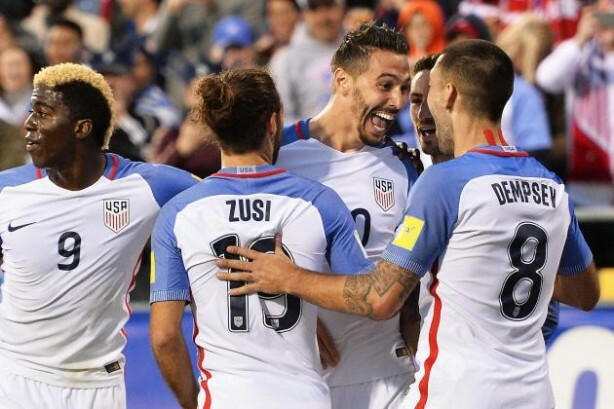 US national team got off to a false start in the Copa America opening match losing 2-0 to Colombia at Levi’s Stadium in Santa Clara, California. Just eight minutes into the game, Colombia’s Cristian Zapata found a lucrative space in the box and in a well calculated move slotted home Edwin Cardona’s corner kick to take an early lead. A penalty for Colombia came in the 40th minute, after it touched DeAndre Yedlin’s hand would further cement a strong lead within the first half, as James Rodriguez converted the spot kick to magnificent double score. A fantastic start for Colombia placed it ahead of the controlling, host country for the better of first half that ended in a 2-0 and the entire game. Americans attempts to create chances for themselves were not enough until the 60th minute. Clint Dempsey nearly headed home a pass from Michael Bradley in tough test on Colombia defence that proved very tough. Out of a total of 12 goal attempts, Americans managed only two shots on goal but were not enough to equalize score. Colombia finished the game with seven shots on goal in a total of 13 attempts. Warning: No parking trucks on streets, highways!